Alive with colour! 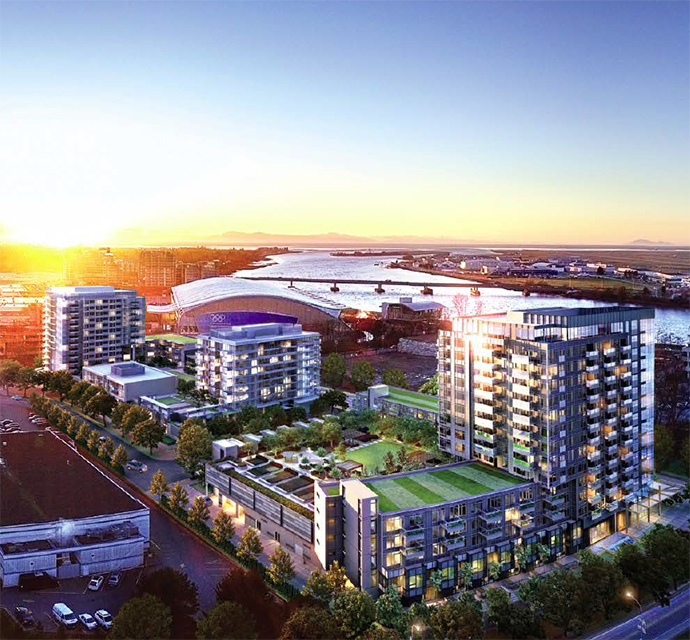 Introducing Richmond BC’s newest community at River Park Place 2! Following the highly successful first phase of this master-planned Intracorp community, the new phase at River Park Place is launching this Summer 2016! Providing exceptional lifestyle choices, easy access to transit routes and activity in addition to the perks of a master-planned residential and retail community, RPP II is all about living life to the fullest. From the waterfront trails to public art and the Richmond Yacht Club, and from the Steveston Farmer’s Market to Fisherman’s Wharf, the River Park Place Richmond RPP2 condo development will put you front and center in one of Metro Vancouver’s most exciting neighbourhoods. River Park Place 2 also puts the ultimate games room under your own roof with on-site amenities that are unparalleled in this market place. From an amazing clubhouse to outdoor living space and from a business centre to an innovative gym, nothing has been left out of this project! The RPP 2 condo neighbourhood is focussed on health and wellness and the homes here encourage a vibrant lifestyle. 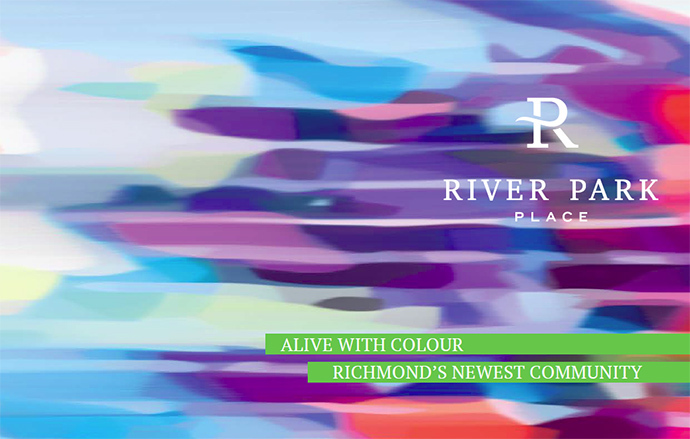 If you are looking for more information about Phase 2 at River Park Place Richmond condos, please visit www.intracorp.ca/rpp2/ for all the details. You can also register at the top of this page if you require representation. The RPP II offering includes multi-level townhomes around 1,080 square feet in living space, one bedroom suites from 455 square feet all the way to spacious family sized 3 bedroom and den homes over 1,100 square feet. The most impressive floor plans at River Park Place 2 Richmond includes the 4 penthouse suites. Floor Plan PH 01 is a 3 bed plus den at 1,977 square feet facing south, PH 02 is a 2 bed + media at 1,601 square feet facing west, PH 03 is a 3 bedroom plus den at 2,208 square feet facing north and PH 04 is a 2 bed plus media room at 1,602 sqft facing east. Intracorp creates homes that are ‘beyond what is ordinary’ and their promise to Homeowners is that the homes at RPP 2 will be more comfortable, beautiful and offer lasting quality. The interior features include SMART technologies throughout the home, oversized windows to maximize light and laminate floors throughout the main living area with soft carpets in the bedrooms. The pre-construction Richmond River Park Place 2 condos will also feature Sheershade roller blinds throughout for added privacy and a modern look, blackout roller shades in bedrooms for a good night’s rest and recessed ceiling lights throughout the bathrooms, dining and kitchen. Bedroom closets will have sliding mirrored doors and all homes will feature one parking stall and air conditioning throughout the homes. The bathrooms at River Park Place II condos in Richmond BC will feature glass encased showers with rain shower fixture, white polished Caeserstone counters, under cabinetry lighting, mirrored medicine cabinetry in master ensuites, white porcelain tiled floors and walls, polished chrome fixtures throughout and recessed in shower lights. The kitchens at RPP II at River Park Place Richmond will feature white polished Caeserstone counters with painted glass backsplash, counter top appliance garage, under mount stainless steel sink and integrated Bosch appliance package. The SMART technology at RPP II includes state of the art tech that works with your smartphone to automatically launch a pre-arranged sequence whenever you’re on your way home. The base package included with your Richmond River Park Place 2 condo purchase includes the WiFi Thermostat, wireless lighting and control and LED ribbon light. Plus, each suite will have a network router installed so that you can wireless control shades, thermostat and lighting without added infrastructure. The on-site amenities include a social lounge featuring large windows and a double storey double sided fireplace in addition to a Karaoke player with large screens, speakers and a mixer. The River Park Place Richmond amenities also feature a basketball court, two digital dartboards, two motorized mah-jong tables, one poker table and a billiard table. There’s also a courtyard with landscaped garden lounge, ultimate car wash with separate wet and dry bays and an optional electric car charging parking station. The RPP 2 Richmond condos also feature two professional designed and fully furnished guest suites, a recital room for music lessons with state of the art recording studio and a quiet and comfortable study room. There’s also a large and elegant boardroom and secured storage lockers. Following the success of Intracorp’s One River Park Place, we are pleased to bring you the newest addition to Richmond’s riverfront Oval Village. RPP II will be Richmond’s brightest new neighbourhood and will feature the most sought-after amenities within minutes, while paving the way with progressive and illuminating technological details. RPP II will feature 127 vibrant one, two and three bedroom homes. Views of the mountains, the river or the city centre, will celebrate both the natural setting to the north, and a bustling epicentre of amenities to the south. Without even leaving your front door, Intracorp’s quality and industry-leading excellence is proven with state-of-the-art recording and practice rooms, a business centre, games and study rooms – all within steps – and all part of the luxury amenities at RPP II. Also enjoy a peaceful yoga room, an innovative gym space, and the ultimate car wash. REGISTER NOW to receive regular updates prior to our launch. RPP II is Richmond’s best new homeowner opportunity – so don’t miss this chance.